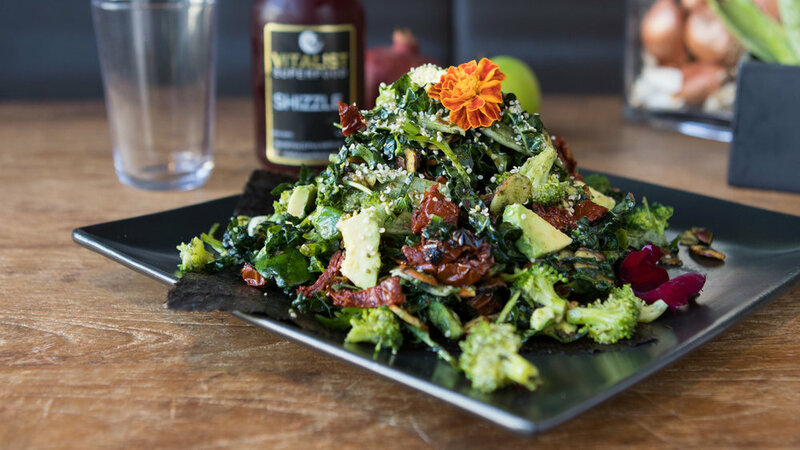 Vitalist Superfood is redefining nutrition through blended superfoods. From court to jet to street food, it is our oath to be at the top of our game. Vitalist food is high quality, easy-to-digest nutrition that is convenient and sustainable. Our bottom line is superfood. Every choice we make has purpose. All of our recipes are formulated to make a greater whole; a superior product for your vitality. These scientifically concocted blends, snacks, and meals stimulate taste buds while increasing physical and mental capacity. A wide range of subscriptions, intentionally formulated cleanses, and mixed food packages encourage daily vitality with ease. "Every day and in every way, I am becoming more vital." Visit us at our San Francisco location! Order through Grubhub for delivery to your door or contact us for additional requests!